We offer a wide variety of office furniture which is made using quality woods and raw material and used for different tasks. 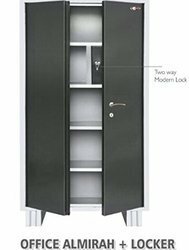 Our office furniture is manufactured according to the varying needs of clients and in accordance to the place it has to be positioned such as office, conference room and reception. We design and provide a premium range of qualitative Wooden Office Chair. Perfect modular construction with quality tested materials ensures that the product is efficiently usable for many years to come. We understand the space constraints requirements of our clients and provide products on basis of their nature of business to ensure comfort and increased productivity at the work place. 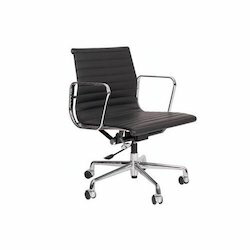 We design and provide a premium range of qualitative Steel Office Chairs. Perfect modular construction with quality tested materials ensures that the product is efficiently usable for many years to come. 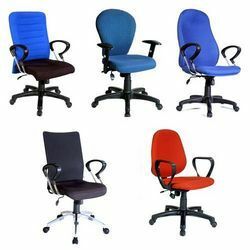 We understand the space constraints requirements of our clients and provide products on basis of their nature of business to ensure comfort and increased productivity at the work place.Office chairs are offered in various designs and color combinations. Highly comfortable and easy to move, these chairs are perfect to be used with modular workstations. 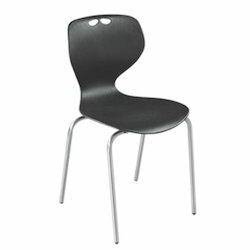 We are engaged in offering a distinguished range of Plastics Office Chair, which are widely appreciated by the clients. 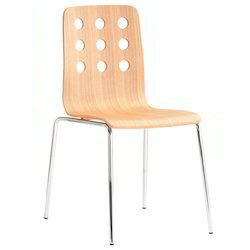 To provide the maximum comfort to our clients, these chairs are available with high back, which can be adjusted as per the height requirements of the customer. Our wide range of Fancy Office Tables is available in standard and customized options. 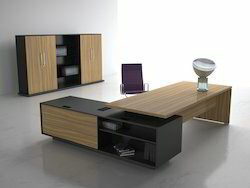 Manufactured as per the requirements of our clients, these office tables enhance the decor of the home or office. Further, these office tables are appreciated for their beautiful designs, attractive color combination, proper finishing and durability. 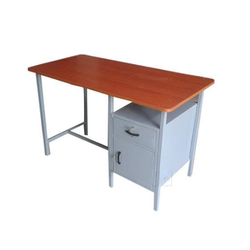 Provided with double or single side storage units, our range of office tables are extensively used in conference room, board room, executive office and reception area. By far the most stylish range of chairs in the Indian market, the Slic Luxor Office Chair range is as international in looks, as it is contemporary. The flowing lines of stainless steel arms and body; the fine detailing of quilted leather upholstery, the new look tapering 5-pronged base. All impart the Luxor a feeling of high style and elegance. 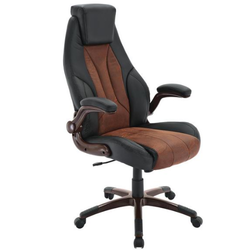 The Slic Office Chair is known for the high level of comfort it offers. Designed aesthetically, our Office Chair is stylish and trendy, thus gives contemporary look and feel to the interiors of your office. 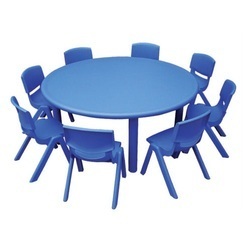 Manufacturer and supplier of Revolving Chairs as realizing the fact that furniture is an important asset for an organization or home, we offer impeccable furniture to our clients. Our mesmerizing array of furniture is intricately carved and is in high demand amongst our clients. We craft the furniture in a way that it portrays the artistic ability of our craftsmen. 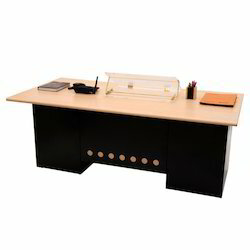 We are offering and manufacturing an exquisite range of Office Computer Desk. 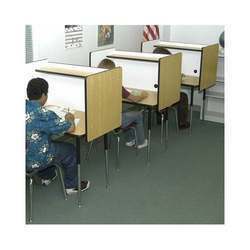 These wooden office desks generally find application in offices. This also includes cabinets at their sides to keep important documents. These wooden office desks are comfortable enough for person to do his official work. 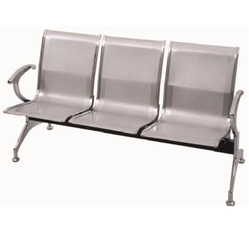 Steel Reception Seating Chair, which is extensively used in the reception area of the hotels and lounges. These have a regal look and are very comfortable. The seats are cushion based on a steel body. We offer a large variety of styles and designs in vibrant colors. Our Office Table Furniture offer enough room to store all your needs as well as house the computer comfortably. The tables are in spacious and compact sizes with muted colours to blend in with the decor of their surroundings. 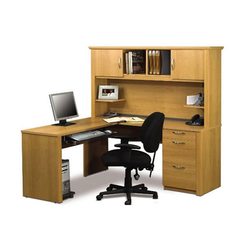 We offer a comprehensive range of Office Cabin Furniture for offices and large corporations. Our office cabin furniture is crafted with high quality genuine wood, coupled with contemporary detailing and skillful craftsmanship. 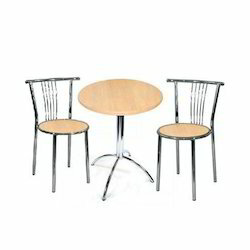 These are used to furnish conference room, board room, executive office and reception area.